Take a look around your office at your coworker's laptop webcams. You probably see a lot of janky, crooked tape. (If you don't, please direct your coworkers to this page.) Not to be Petey Paranoia, but like, webcams are pretty easily hijacked, as evidenced by the CIA, that Black Mirror episode, that Mark Zuckerberg Instagram post, that Pennsylvania school district, and, well, tip of the iceberg and all that. There just may never be a more urgent tech security issue with a more simple solution. Yeah, tape will do the trick, but it can also damage your webcam if left on too long, and, well, you don't hang a picture with tape for a reason. The stuff peels. Here's a simple solution to all of the above. Nope Webcam covers aesthetically blend with your laptop while covering your webcam completely. 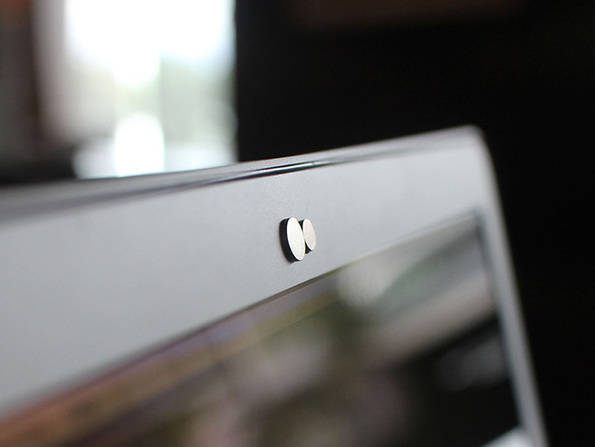 Mounted with 3M adhesive that will last significantly longer than tape, these covers are also magnetic, allowing you to easily move them when you actually do need your webcam. And they're pretty cute, too, right? Reduced from $21.99, you can get a 6-pack of Nope webcam covers for $14.99.